You need to file this report with the US Department of Treasury if you meet certain conditions. These include: having a financial interest in, having authority to sign for or any other kind of authority over financial account(s) in foreign countries. Your account must also be valued at over $10,000. If you meet any of these conditions you need to file this report. Our professional accountants can help you prepare and file this report and all of your other tax paperwork. We are dedicated to helping you lower your tax burden and stay compliant with the law. The reason that this information is collected by the US Department of Treasury is to maintain records that are useful in criminal, regulatory, or tax investigations. The people who can see this information include individuals at the US Department of Treasury and other departments of the US Government. For the information to be given to the other departments a department head must request the information and must be using it only for the purpose of tax, criminal, and regulatory investigations. You must disclose this information as required by law. There are fines and prison penalties associated with failing to supply this information. You can be fined up to $500,000 or imprisoned for up to 5 years. The same holds true if you file a false report. All of the accounts that are listed are jointly owned by the couple. The report was filed before the deadline. Both spouses signed the form. If a married couple does not meet these conditions, then they will need to both file separate reports for their accounts. Correspondent/Nostro Account – These accounts are maintained only by banks. They are used for bank-to-bank settlements and aren’t required to be included in the report. A university or college that is owned by, operated by, or is an agency of a government entity. The employee retirement accounts or welfare benefit plans of and governmental entity. Foreign accounts owned by governmental entities that fit this definition do not have to be reported. International Financial Institution – If the United States is a member of a foreign financial account that is part of an international financial institution, the account is not required to be reported. Individual Retirement Account – These are otherwise known as IRAs. If you own or are a beneficiary of the IRA, you are not required to report accounts held within the IRA. Participants in and Beneficiaries of Tax Qualified Retirement Plans – This is similar to the IRA rule. You are not required to report accounts that you hold or are a beneficiary of if they held by a Tax Qualified Retirement Plan. As you can see the tax code is intricate, and it is important to know what you are doing. That is why having a qualified accountant can help. 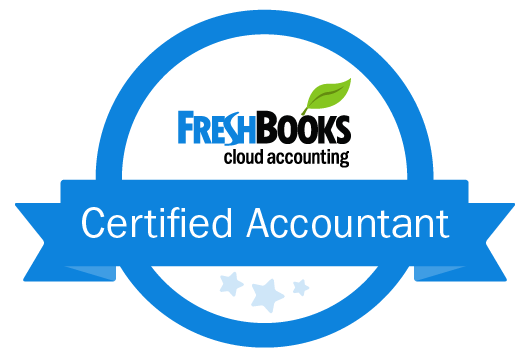 Accountants are specially trained to understand the tax code and keep you in compliance with it. Deciphering an IRS document can be a difficult task. It is important to hire an accountant so that you file all of your information correctly. When working with an accountant it is also important to understand they are doing. The following is an explanation of terms found in the Report of Foreign Bank and Financial Accounts. Financial Account – This is a foreign financial account specifically located outside of the United States. You are the legal title holder or owner of the account. This gives you financial interest even if the account is owned by someone else. You can financial interest in accounts in several different ways. You can have a nominee, a lawyer or a person acting for you with respect to an account that you own. You can own a majority of a corporation that controls the accounts. You can have a majority share of a partnership that controls the accounts. You can own a trust that has control of the accounts. You can have voting rights of more than 50% in any other entity that controls the accounts. All of these things give you a financial interest in the accounts and mean that you need to submit the Report of Foreign Bank and Financial Accounts. Person – You would think person would be self-explanatory, but in tax law it means something different than in regular English. It means a legal entity or person that handles the finances. That could include a partnership, estate, trust, company, or corporation as well as an individual. Signature Authority – The person or people that hold the power to control the administration of a foreign financial account has signature authority. Signature authority is another way to determine ownership of the account. However, individuals who have signature authority, but no financial interest in, a foreign financial account are not required to report the account. This often happens when a person is granted power of attorney over the accounts of another. 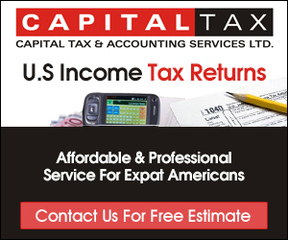 United States – For the purpose of tax documents, the United States includes the 50 states, the District of Columbia and all the territories and possessions of the US. The Commonwealth of the Northern Mariana Islands, Guam, the Commonwealth of Puerto Rico, American Samos, and the United States Virgin Islands are all included. When the laws of the United States are referenced, they include all the laws of the US Government and the laws of the territories and possessions of the US. United States Person – Like the definition of person above, this term encompasses more than single individuals. It includes US citizens as well as partnerships, limited liability companies, and corporations that are organized or created in the US or under the laws of the US. United States Resident – This is a legal (or illegal) alien who is residing in the US as a permanent resident.